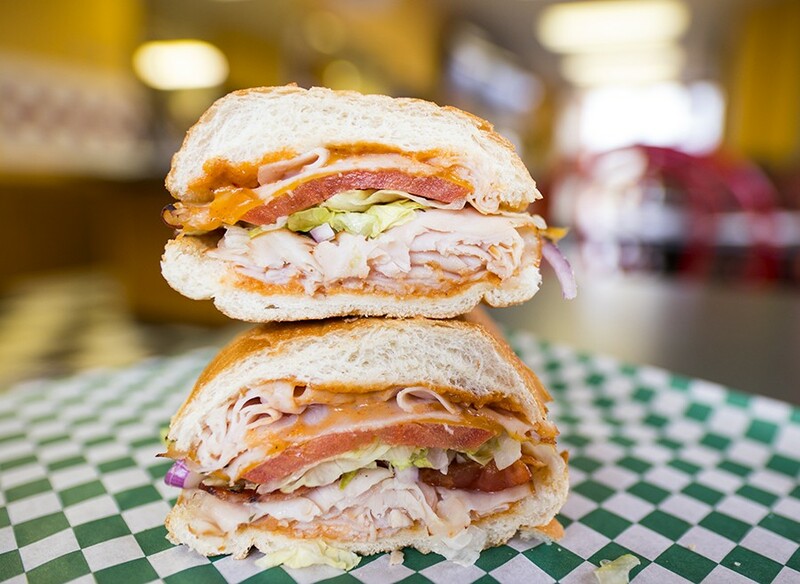 Yes, it's a surprising combination, but all three things at Toasty Subs are pretty good. I'd always assumed the dingy old building at the intersection of Big Bend and Flora on the south side of Maplewood — a place I'd driven by at least a hundred times — was abandoned. When I pulled in for a visit a few weeks ago, the exterior did little to shake that feeling. 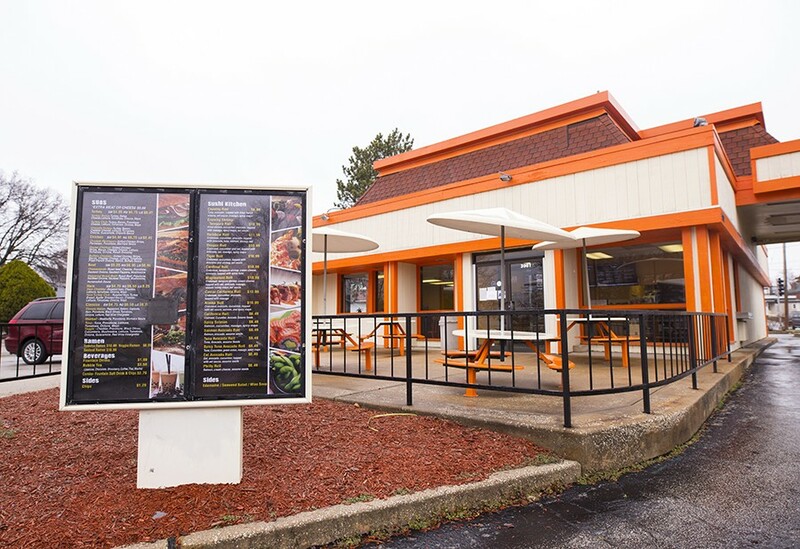 Weeds peeked through the pavement cracks, and a dingy paint job that vaguely resembled the color scheme of an old Naugle's did not serve as an enthusiastic advertisement for a place open for business. Yet a friend — one whom I trust implicitly about such matters — assured me that this former Quizno's was indeed a working restaurant. One with great sandwiches. And sushi. And bubble tea. And yes, ramen too. Customers may not be surprised to learn the restaurant is located in an old Quizno's. Inside, the atmosphere does not instill much more confidence in such an unusual concept. Mustard yellow paint, black-and-white checkered tile, red metal chairs and a wood-paneled order counter bring back memories of going to a K-Mart cafe in the 1980s. 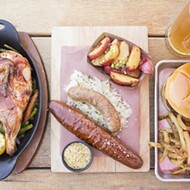 It's hardly the place you'd expect to be ground zero for a twist on fusion cuisine. For owners Alex and Lily Liu, the seemingly bewildering combination of food products and low-key setting makes perfect sense. After immigrating to the U.S. from China twenty years ago, the husband and wife owned a local Quizno's franchise before leaving that business to start their own catering company, Sushi Kitchen. For ten years, Lily rolled sushi, becoming a master in the art of preparing the Japanese dish. Co-owners Alex and Lily Liu. 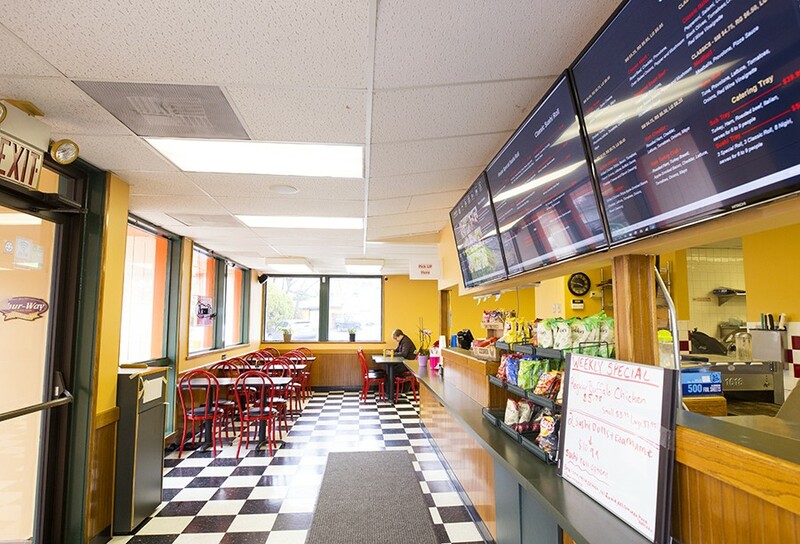 A few years ago, the Lius decided that they wanted to get back into the sandwich business, but this time with their own concept, not as franchisees. They opened Toasty Subs as a Quizno's-inspired sub shop last June. However, it wasn't long before Lily got the urge to show off her sushi skills. The pair thought "why not?" and added a selection of rolls to the menu not long after they opened. They didn't stop there. 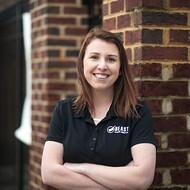 Lily had been cooking sandwiches and sushi for nearly twenty years, and her creative spirit drove her to try something new. She began experimenting with ramen and reached out to a local ramen chef who helped her come up with some recipes for the Toasty Subs menu. But Lily found most ramen too fatty for her palate. Wanting a healthier, lighter option, she figured out a way to give the broth a robust flavor even while cutting the fat content by about two-thirds. The tonkatsu ramen is lighter than the classic version, but still delicious. 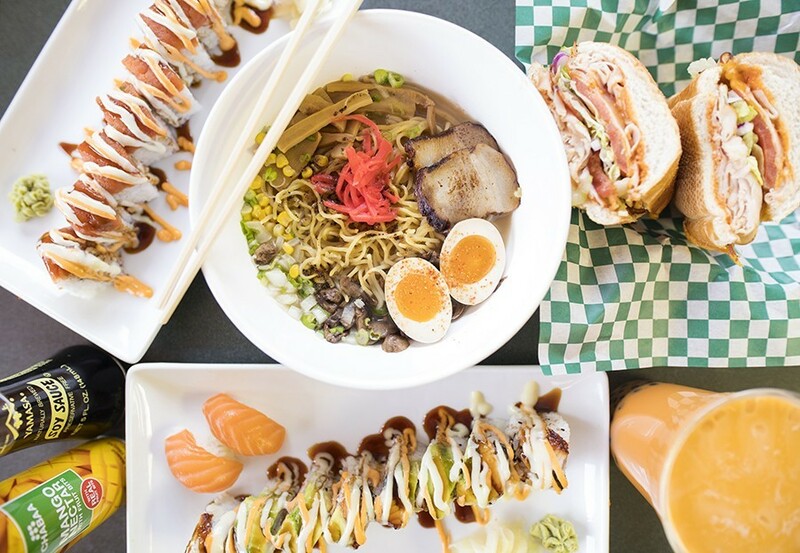 This October, Toasty Subs debuted Lily's ramen, and it's been garnering accolades ever since. Despite the restaurant's name, the Japanese noodle soup has become the star of the restaurant, a fact that was evident on one visit when two customers threw their hands into the air in celebration when the counter worker announced they had ramen that evening. A person who rolled up to the drive-thru a few minutes later (yes, they have a drive-thru, too) had a similar reaction. Apparently, that's not always a sure thing, as the restaurant regularly sells out its newfound signature dish. It's easy to see why once you dig into the tonkatsu ramen, its deep, satisfying broth enlivened with just a whisper of ginger. Slices of pork belly are so tender they seem as if they might dissolve into the savory liquid, their rich flavor accented with diced onions, bamboo shoots, mushrooms and corn. A perfectly cooked soft-boiled egg bobs in the broth along with springy noodles. It's a bowl that stands shoulder to shoulder with the ones at area restaurants that dedicate themselves to the craft. The "Cardinal" roll is stuffed with crab salad, tempura shrimp and cream cheese. If the tonkatsu ramen maintained a robust flavor in the absence of fat, the veggie version needed a boost. Even in concert with the noodles and accoutrements like corn, onion and mushrooms, the broth was too light. 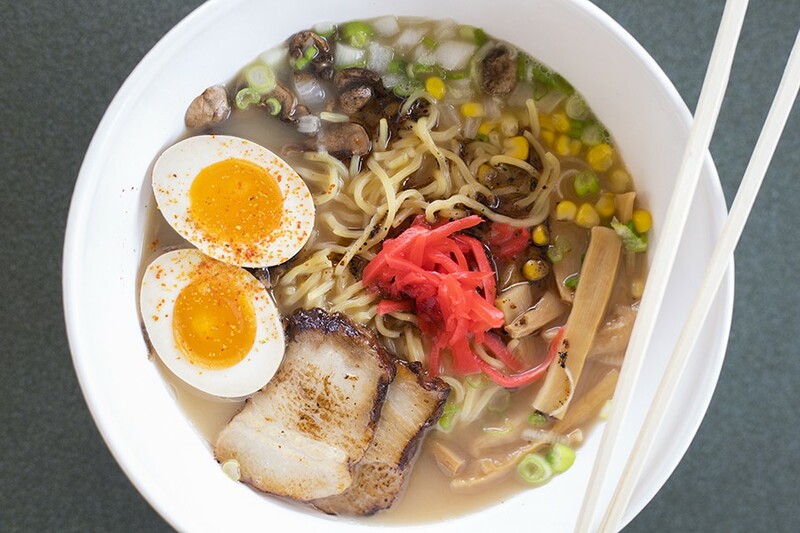 The miso ramen proved much more flavorful, consisting of four different broths (pork, chicken, miso and veggie) that are fortified with butter for additional richness. As with the tonkatsu, the silken pork belly melts on the tongue, while the dish derives its texture from the al dente noodles and corn. If she is on her way to mastering ramen, Lily Liu is already there when it comes to sushi. 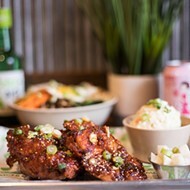 Granted, Toasty Subs serves mostly the Americanized rolls we've come to associate with the genre, but she does them well and with thoughtful preparations. Her "Rainbow Roll" consists of crab, eel and cucumbers packed into tender sticky rice and crowned with a vibrant spiral of salmon, tuna, shrimp and more eel. The juxtaposition between its freshness and the restaurant's dated sandwich-shop motif is striking. The "Maplewood" is topped with eel, avocado, masago, wasabi honey mayo and eel sauce. 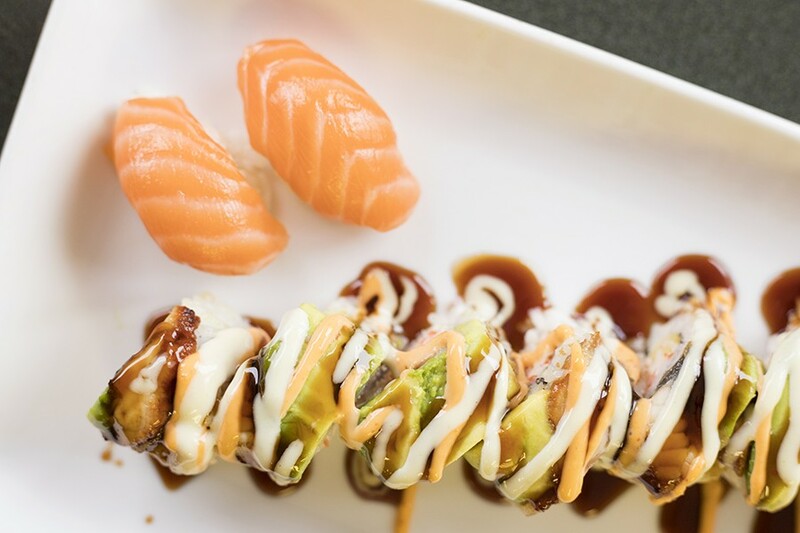 California, spicy salmon and shrimp tempura rolls are all standard but respectable. 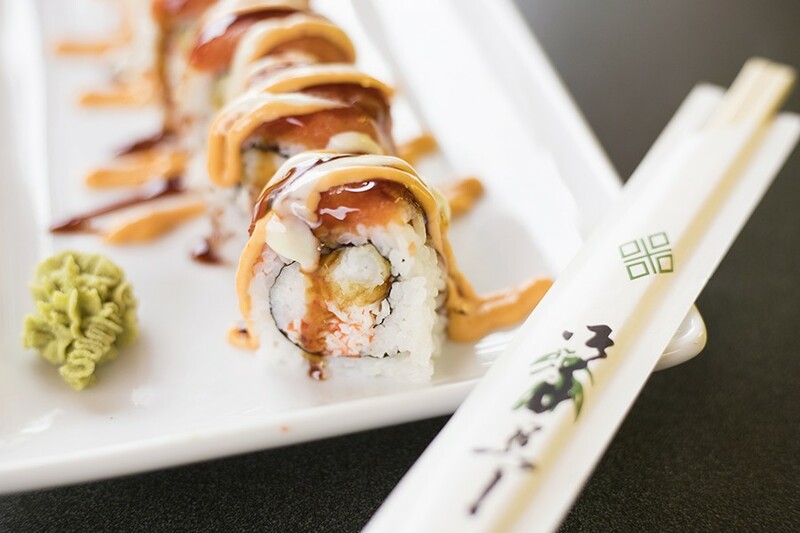 The standout is the specialty "Maplewood Roll," which pairs crab, tempura shrimp, cream cheese, eel and avocado with wasabi honey mayonnaise and eel sauce. It's a mélange of rich textures that feels as decadent as a lobe of foie gras. You could, however, come to Toasty Subs for its namesake and be perfectly satisfied. The Lius do not deviate from their former business' playbook, offering the sorts of toasted sandwiches you'd find at a Quizno's. These are nothing fancy — just traditional, classic flavors done well, like a solid turkey-and-Swiss sub that is overstuffed onto wheat bread (white is also available) with tomatoes, onions and a mayonnaise-tossed lettuce that is akin to cole slaw. Subs include a chipotle turkey club. Tuna salad, lightly dressed in mayonnaise, is a classic preparation, but it's enlivened with shaved red onions and a vinaigrette dressing. Toasting the sub adds a welcome crunch. 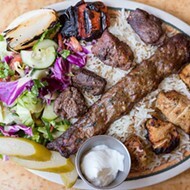 The restaurant's best sandwich offering, however, is its Italian combo, in which pepperoni, salami, capicola and ham provide a meaty base for provolone cheese, black olives, tomatoes, onions and lettuce. Again, red wine vinaigrette punches through the fat, balancing out the flavors. Yes, Toasty Subs has a drive-thru. A sandwich like this is so quintessentially all-American, the only side that seems appropriate is a bag of potato chips. You can get those at Toasty Subs. But you can also get a side of spicy tuna roll, or order a small sandwich-ramen combo that might seem odd until you realize it's not really all that different from a "You Pick Two" sandwich-and-soup deal at Panera. Darn if Toasty Subs isn't all that different after all. It just takes a leap of faith and an open mind to realize it.